Within a few days of seeing their request for help, in the Made in the Midlands Digest, Warwick Racing had accepted the offer of free laser cutting by Laser Process Limited and had received a set of engine brackets. The team were pleased to receive the brackets in super quick time. 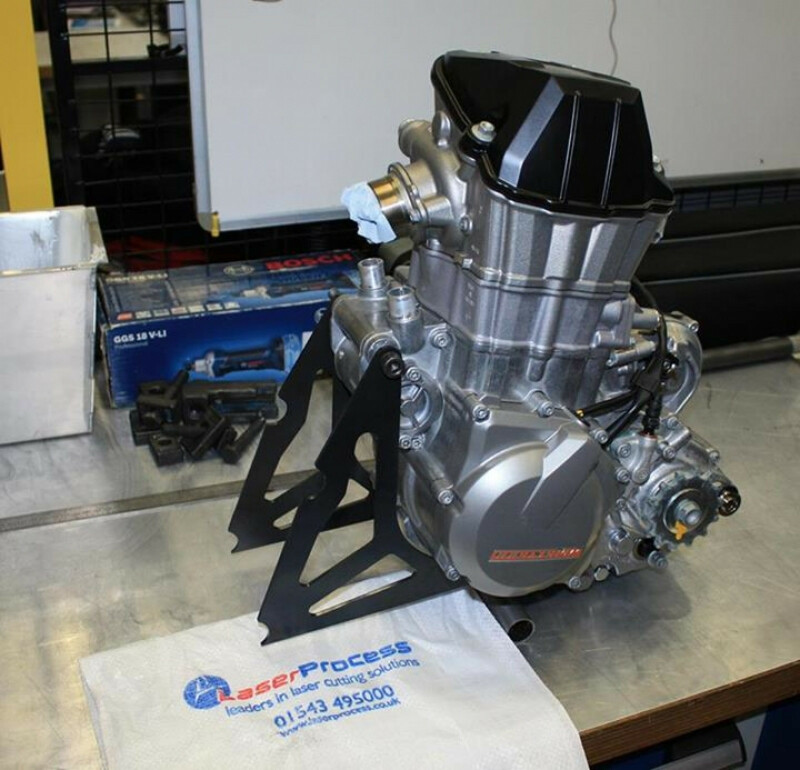 Dave Lindsey, MD of Laser Process said " we are always happy to do what we can to help in the development of engineering skills and we see collaboration with Warwick Racing as an excellent way of doing just that. We hope that this is just the start of a long lasting relationship". Warwick Racing consists of several teams of 4th year MEng Engineering students at the University of Warwick , who work on group projects run by Warwick Manufacturing Group (WMG ) and supported by the School of Engineering . These projects represent 25% of the students' final year marks. This year, Warwick Racing is designing and building 2 cars to enter into Formula Student, Europe's most established educational motorsport competition. The team will,later, be taking the car to Australia to compete with a similar group there.